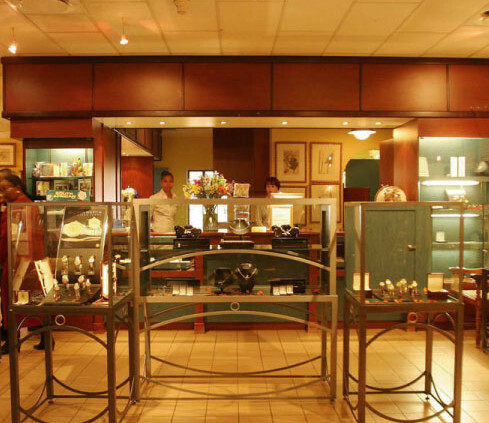 Coin World is the extremely popular retail outlet and museum at the South African Mint. Since opening its doors to the public in 1996, Coin World has become a major tourist attraction. Special features at Coin World include a complete museum display of South African coins, working machinery, works of art, antique furniture and a trained guide on the floor. Proof quality collector coins, limited edition medallion watches and other exciting collectors’ items are available directly from the Mint at bargain prices. Coin World at the South African Mint, is situated on the N1 between Johannesburg and Pretoria, within every tourists’ reach en-route to their destinations. The security and tranquility that surrounds the Mint makes a visit to Coin World, a magical experience for tourist and customers alike. Visitors to Coin World can enjoy the unique experience of striking their own coin on one of the world’s oldest working mint presses, nicknamed “Paul”. Coin World is known for its superb customer service and has proved to be the place to buy a South African gift with a difference. Please note: 1. Coin World (South African Mint Store) does not buy, sell or evaluate “old” coins. This is one of the oldest working coin presses in the world with a manufacturing date of 1891. President Paul Kruger, then the President of the old ZAR (Zuid-Afrikaansche) ordered two presses from Ludw. Loew & Co. in Berlin to be used at the first South African Mint on Church Square, Pretoria. More than 8 million coins were minted between 1892 and 1900 on the “Oom Paul”. The so called “Kruger millions”, Sammy Marks golden tickeys, special 1947 crowns for the visit of the British Royal family, the first decimal 1c coins in 1961, the first Krugerrand in 1967, the first gold Protea in 1986 and the first R2 coin were minted on this historical press. The first of South Africa’s various other new 24-carat gold coin series were also launched on this press. “Oom Paul” has survived two wars, been worked on five different premises and was involved in the manufacturing of four coin series and various other prestigious items. This is one of the only remaining presses of its kind in the world. “Oom Paul” was originally steam operated, but has been modified to work on electricity. Blanks are manually fed into the coining press.